It’s about two young men from Belfast named Michael and Stephen who get caught up in a fight between the SAS and the MI5 and the IRA. Stephen is the weakest of the two, and he easily cracks under pressure. On the other hand, Michael is the tougher one and refuses to give up information. The IRA soon gets hold of them and starts demanding information. Michael and Stephen are thrown in jail on false charges and their fate is soon in the hands of a powerful person. What happens to them? What are the charges? Do they make it safely home to their families? Stephen’s friend Jimmy is one person who knows they are innocent, but he is helpless to do anything for them. What happens to him? This book is good, but not one I’d read again. Martin Dillon has won international acclaim for his unique, investigative works on the Ireland conflict. Dr. Conor Cruise O’Brien, the renowned historian and scholar, described him as “our Virgil to that inferno.” The Irish Times hailed him as one of the most creative writers of our time and the Guardian compared him to John Le Carrie and Len Deighton. Martin Dillon’s trilogy, The Shankill Butchers, The Dirty War & God and the Gun, sold over a quarter of a million copies in the British Isles. His twelve non-fiction works are considered definitive accounts of the conflict. He began his distinguished career as a newspaper reporter and later became a programme editor with the BBC and a writer/producer with its award winning Timewatch. Throughout his BBC career he campaigned against its flawed interpretations of what constituted balance. He has been a terrorism expert for news outlets in Europe and North America. His play The Squad was one of the first about The Troubles and was produced on BBC radio and television by the late Ronald Mason, the esteemed Head of BBC Radio Three Drama. Dillon’s books include The Enemy Within, an account of the IRA’s terror campaigns in Britain, starting at the outbreak of World War II. Stone Cold was a portrait of a natural born killer and in The Trigger Men he delved into the lives of the most notorious assassins. Dillon exposed the IRA’s secret burials, the use of State-sponsored assassins and the phenomenon of sadistic torture by paramilitaries. He helped prepare the way for peace in Ireland by bringing together Nobel Prize winner, John Hume, and Gerry Adams, the IRA’s political leader. His help and advice were sought by the Margaret Thatcher and John Major governments. As a journalist and writer his life has been intertwined with the history of the Irish Troubles and its darkest days. He is often described as one of the most important voices of the conflict. His latest book is his the memoir, Crossing the Line- My Life on the Edge. According to Irish Times, the memoir “details a life that’s involved many incredible moments: witnessing the horrors of the Troubles; encounters with major political figures and paramilitaries; rubbing shoulders with Irish literary greats; a successful broadcasting career, but one where he butted heads with BBC management; and having to leave Northern Ireland because of death threats. Henry McDonald; author, journalist and Ireland correspondent for The Guardian says the memoir is replete with such colourful stories involving the politicians, terrorists, artists and writers he met while covering the conflict in Northern Ireland”. 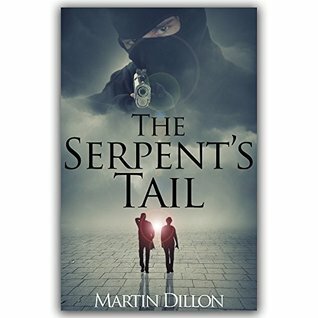 Readers of this book, and of Dillon’s other works, will agree that “He has that unique knack of combining forensic historical fact-based research with the art of thriller-like writing. His books have accurately chartered the terror and the horror of recent Northern Irish history but always in a tone of compassion for the innocent victims caught up in conflict. Works like his 'The Shankill Butchers' and 'The Dirty War' stand the test of time and will be essential reading for generations to come for those trying to make sense out of the madness that was 'The Troubles'. Martin Dillon is a renowned world expert on terrorism. He has written and spoken extensively on this modern day phenomenon, which continues to hit the headlines on a daily basis. As a journalist, he came well-equipped to cope with the subject. Born in Belfast – the citadel of Ulster unionism at the heart of the divided society that is Northern Ireland - Martin Dillon understood from an early age, the causes of political conflict which if left unaddressed manifests itself in violence. And as young reporter he stood out among his peers, because he quickly identified the line where politics ended and terrorism began. Martin’s professional life began on a leading Irish newspaper in 1968.